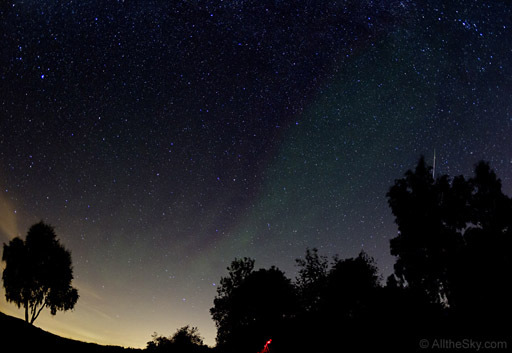 The maximum of the Perseid meteor shower was superposed by green ripples of airglow. However, the Airglow was barely visible by naked eye. A perseid meteor is vanishing behind the tree on the right hand side.